MIKE MCCAUL is a former commando and RCMP spook, and is now a sinister operative for a shadowy security contractor. To avoid Canadian Intelligence scrutiny he moved from Toronto to Havana and is hired by the CIA to find out if the Castros are a threat to the USA. McCaul meets up with his mission partner, Lucien LaRue, a deadly commando who Mike suspects has ulterior motives. Then he runs into his lost love, Kate McKee, now working for CNN looking for dirt on the Castros. Together, McCaul and Kate dodge Cuba's security apparatus and end up finding a terrorist camp in the mountains. Then they connect with the new Cuban messiah and McCaul sets out to battle the Castro regime not knowing who he can and can't trust. Then it's reported that Fidel has died... 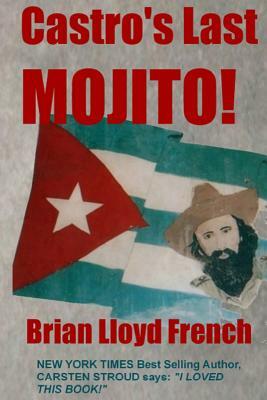 The ending of Castro's Last Mojito is like Cuba itself; an enigma in which nothing is ever as it seems.